If you are thinking of furnishing your apartment then there would be many creative ideas that would come to your mind. Reupholstering your sofa and chairs too is one of them. The kind of furniture which is manufactured today is sometimes not worth the reupholstering. This is because it already starts to wear off by that time. However, if you are a lively soul who loves to experiment with new fabrics and materials, you can of course change your covers anytime. Reupholstering is not as easy a task as it looks. You will have to work hard on finding the ideal fabric for the furniture; you will need to see to what extent the sofa or chairs can be altered among many other glitches and troubles. So before you begin your work on reupholstering here are a few measures that you will have to consider. The Shape of the furniture – the most important aspect is the shape that your furniture has. If you have furniture of the traditional style, then the chances to convert it into a completely modernistic, casual style sofa would be less. Similarly a typical contemporary or country style sofa would be difficult to manage if you want it to have a completely transformed look. You also need to consider the fact that you are experimenting with an already used and therefore weak furniture piece. Too much sabotage with the furniture may lead to breakage and losses. The length of fabric you would need – this is a really important aspect. Once you begin the work, you need to make sure that the entire fabric used in the making is of uniform and the same quality. If you fall short in the middle of the work then it might ruin the whole look of the sofa. This happens because the workmen will have to stitch and add a new piece to the already existing piece of cloth. Try buying a little more than it is needed so that this may not happen. You can also consult the maker or measure the amount of cloth needed by yourself. Your budget – a pre decided budget is always necessary when you go shopping. Likewise, you can prefix a specific amount to your range and shop accordingly. You need to consider not only the cost of your fabric but also the cost of labor that would have to be applied. The work may continue to happen for a few days, so you also need to keep in mind the discomfort it would cause you. 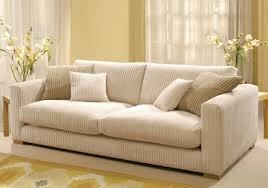 There are innumerable furniture stores in America that sell upholstery and fabric. Since the store has a wide appeal as well as uncountable centers in various cities, it is easy to have an access to a chain furniture retail store. You can visit the store nearest to your location and check for yourself the uncountable designs and fabrics you will find. Besides selling materials for upholstery, the store also specializes in the sale of other furniture related materials and home décor. How can your home office be different from any other common type of commercial office? What do you really need to furnish your home office? Article like desk, chair, computer and peripherals are sufficient for your home office, or maybe not? Major answers to these questions are hidden in the size of your room to be used for office purpose. The area of your house used for office and the rest part for personal preferences. Most of the people these days prefer to choose the furnishings made up of steel, glass and plastic and other preferred solids. There must be best use of space while selecting the area of your office. 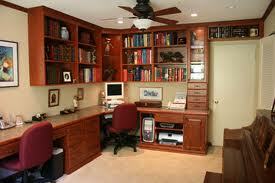 It is a very common problem of area selection with all when you decide to make a home office. The solution of this problem is how you utilize the space of your house for office, segregation of house between office and personal purposes. It is assumed that there is less space available at your home for office. A best use of that area can be done by combination of a desk and wall unit. A desk must be compatible enough with shelves, hutches, drawers and cupboards. This will enable you to keep all your articles safely in the desk without taking any extra space in the room. Peninsular desk also can be good idea to save extra coverage of space for your room. Peninsular and partner desks are always appropriate way of accommodating more than one person without covering extra space. Choosing just a printer which can perform all the functions of printer, copier and scanner can save extra money and space at your office. If you want to decorate the home office with adorable furnishing then you must choose some stylish and latest designer pieces. You can decide the furniture suitable to the colour of walls and floor. It your room and floor have dark colour then you must go for light and bright colours and vice versa for better and striking appearance. If your preference is to decorate the room with ultra modern furniture then you should choose pale shades with vibrant and stylish metallic and glass structures. However, most of the people prefer to choose solid wood furniture because of their durability and strength. You can choose the furniture which comforts you whether it is metal or glass. Go to a nearest furniture store that provides all these. They equip all types of designs which suit all home office decors. It is very important to use the combination of brightness and use of lightening in your home office decor. No matter what type of furniture you use to decorate the room but you should use lampshades and drapes of vibrant colour to enhance the looks of your office. A home office should be very peaceful in looks to be better place of work and not exciting colourful with the combinations of red and yellow.